No PS4 Until 2014, Japan. But Here's An MMO For Your Trouble. The PS4 launch looks to have a wider variety of play options than previous generations. Now it looks like Japan will be getting an extra option. Video game and entertainment developer, CyberStep has announced a new MMORPG for the PC and PS4. 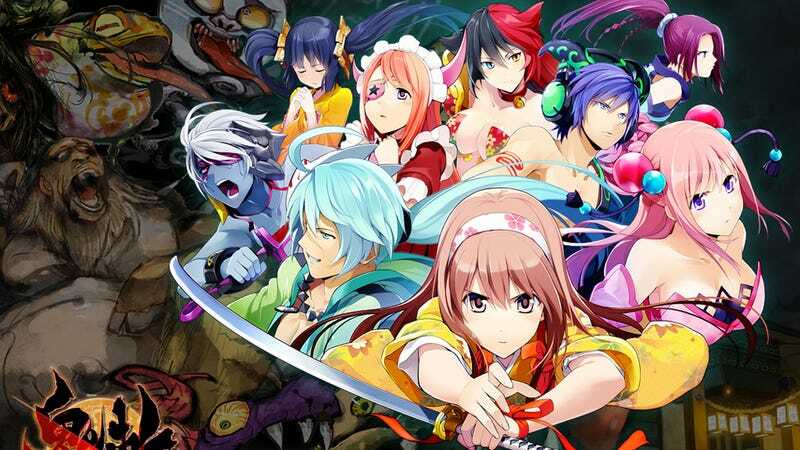 Oni-Giri (鬼切 "Demon Slash") will be a free-to-play online action MMO featuring characters, stages, and creatures based on Japanese mythology and legends. Currently, CyberStep is planning to release the PC version this upcoming December and begin service for the PS4 version next February when the PS4 launches. CyberStep has not specified if players will be able to use the same accounts on either platform, however, judging from previous business models (Phantasy Star Online 2 and Final Fantasy 14), that seems fairly likely. Basic gameplay will be free with purchasable in-game items. The PC version of Oni-Giri is scheduled for release in Japan on December 12th. The PS4 version is scheduled for February 22nd, 2014. A Western release is currently projected for mid 2014.